KitchenAid mixers have been around for the consumer since 1919. The first models were known as the H-5 Stand Mixer, and they were referred to as "the best kitchen aid" by an executive's wife. That name stuck and became the product name for the entire line of products that the modern KitchenAid company markets. Dating a KitchenAid mixer requires you to find both the serial number and the model number, and then entering it into the KitchenAid website "contact" page. Find the date of any KitchenAid mixer using the model number and the serial number. Log into the KitchenAid website located at Kitchenaid.com. At the red browser bar near the top of the page, click the "Support" tab. A menu will drop down. Click the "Contact Us" tab. Enter the subject matter on the drop-down menu on the lower left hand side of the page. The first subject line will be "Kitchen Electrics/Countertop Appliances." Click that item. Click "Product or Product Category." On the drop-down menu, click "Stand mixer." In the "Model Number" box, enter the model number of your mixer. The model number can be found on either the bottom of the mixer or in the instruction manual where the specifications are listed. After entering the model number, you'll be prompted to enter the serial number of your mixer. The serial number can be found next to the model number on either the bottom of the mixer or in the instruction manual. Add a comment in the comment box. State that you would like to know the date of your mixer with the information provided. List your email address for the return mail and click "Send" when finished. 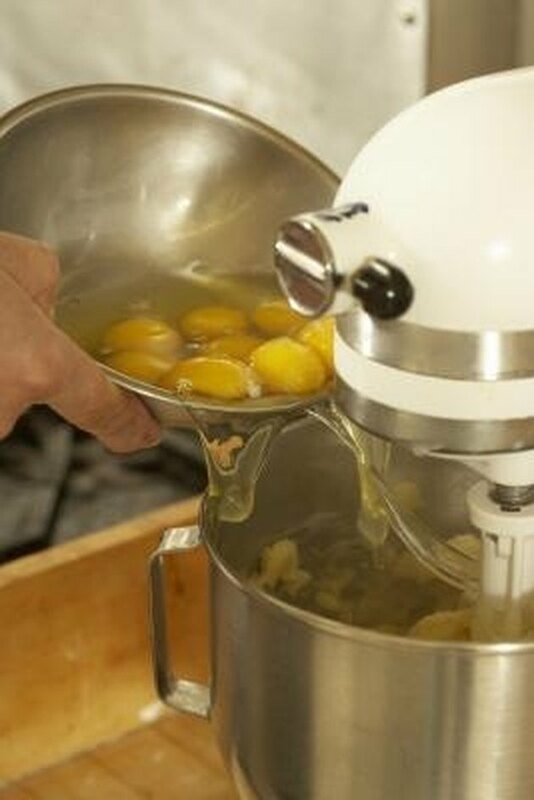 A KitchenAid associate will contact you with the correct age of your mixer.